Angela Merkel’s government has been accused of lying to the country’s parliament after it was alleged that it knew German spies were conducting economic espionage for the NSA. Revelations show that some spooks were even spying on German companies. Germany’s interior minister, Thomas de Maiziere, who is a close ally of Chancellor Merkel denied on Wednesday that he had lied to parliament about the German Intelligence Agency (BND) cooperating with the National Security Agency (NSA). He said that the allegations are untrue and he could disprove the claims through documents, which need to remain secret. Bild newspaper ran a report Wednesday saying that he had been “lying in black and white” with regards to the case; a picture of the minister with Pinnochio's long nose was used to convey the message. On April 14, the Interior Ministry had released a statement saying: “We have no knowledge of alleged economic espionage by the NSA or other US agencies in other countries,” in response to a question from the opposition Linke (Left Party). However, last week it emerged that the NSA had asked Germany’s intelligence agency, the BND, to obtain sensitive records, such as email and IP addresses as well as telephone numbers to help the American agency spy on certain European companies. Eurocopter, the French government and the defense firm EADS allegedly were among the company’s targets, although German Chancellor Angela Merkel was said to have been left in the dark about the BND’s activities. The equivalent would have been if Germany had asked the NSA to spy on NASA or Boeing, requesting that no information about the matter be passed Barack Obama, to ensure no damage would be done to the relationship between the two countries. Several times a day, the BND reportedly downloaded the NSA selectors into their monitoring system and used them to spy on targets. The results were sent to the German agency’s headquarters in Pullach for evaluation, and then, to some extent, to the NSA, Spiegel Online revealed, adding that the NSA sent about 800,000 ‘selectors’ to the BND in total. 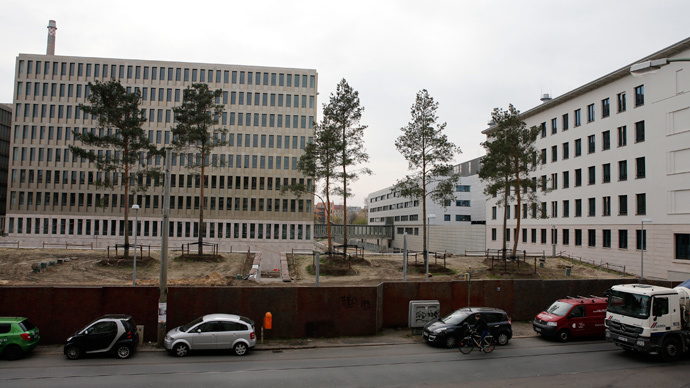 Since at least 2008, BND employees felt they were being asked to perform tasks they did not have the authorization to carry out, as they were not covered by the 2002 Memorandum of Agreement between Germany and the US, aimed at combating global terrorism, the magazine said. It wasn’t until 2013, in the midst of the Edward Snowden revelations, that an investigation into the spying activities took place. The probe revealed that 2,000 of the selectors actually violated German and Western European interests, with many used to spy on politicians. However, the revelations were not reported to the Chancellor's Office, according to Zeit Online. Instead, one of the BND's department chiefs simply asked the NSA to stop making such requests. “The limit has now been exceeded. The chancellor must explain the situation,” he added. Left Party leader Gregor Gysi has called the collaboration a “scandal” and demanded an end to “conformism with the US administration,” Deutsche Welle reported.